My current printmaking projects have been put off to the side as I start a new tropical landscape print, which I hope to finish before a local art show in September. It will be about twice the size of my usual prints, which presents new challenges but is a fun change of pace. 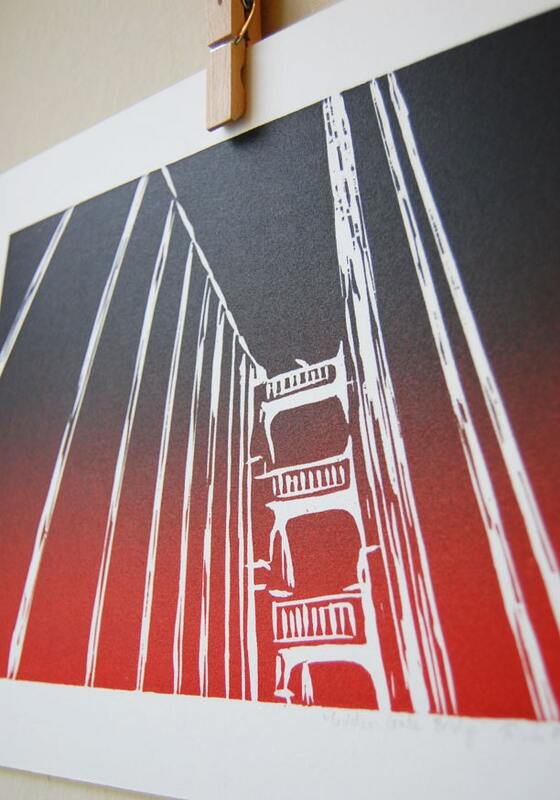 This Golden Gate Bridge woodcut just came off the drying rack.